…about the sealife. 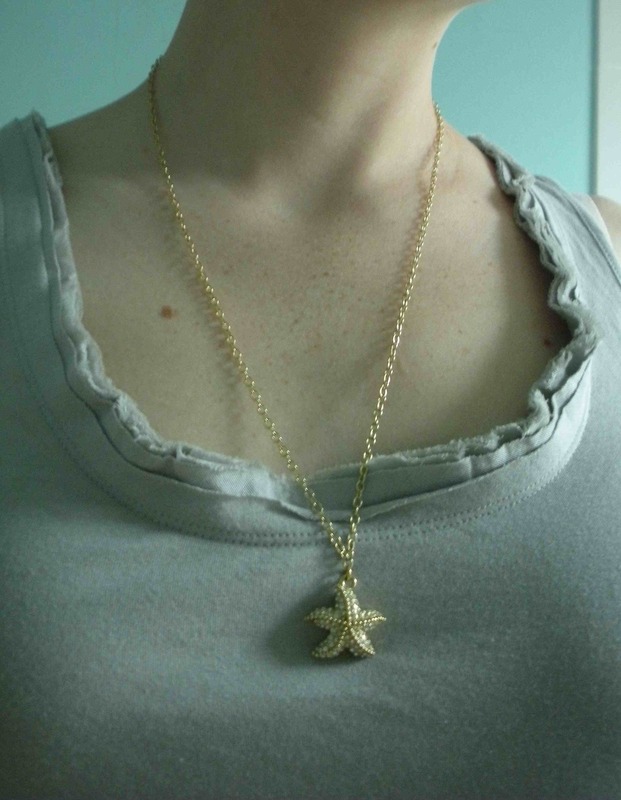 Here’s today’s selection—a J Crew starfish that a very kind Ebay seller sent to me for free with the starfish print swimsuit I bought from her. Unsurprisingly—as I live in Wisconsin—I get a lot more wear out of the necklace. Writing about sealife jewelry doesn’t seem all that ridiculous to me this week. I’ve been working on a writing schedule of a page a day, and so far I’ve written three pages about shawls (plaid, also, watered-silk) and two pages about bonnets (and the nails upon which they can hang). Time for the weekend! You wear sealife so well.